The goal of a ketogenic diet is to improve health through a metabolic change in which the primary cellular fuel source switches from carbohydrate-based fuels (glucose) to fat fuels and fat metabolism products called ketones. This is achieved through a metabolic process called ketogenesis and when this occurs it is called ketosis. 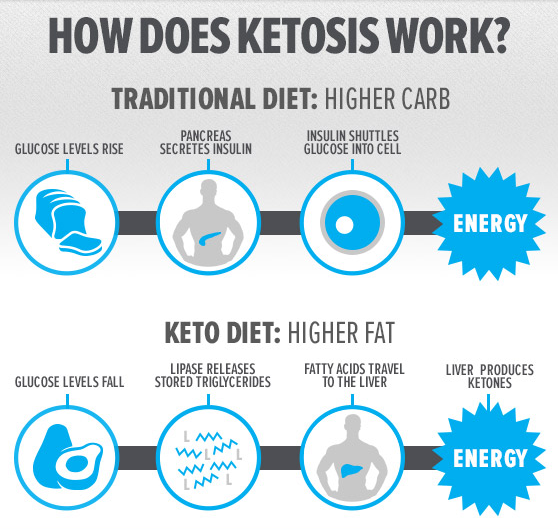 Ketosis is a normal metabolic pathway in which the bodies cells utilize ketones to make energy, instead of relying on sugar or carbohydrate. Humans have developed an evolutionary ability to burn ketones as an adaptation to periods of time when food was unavailable. A great deal of research is being done on ketosis as it relates to disease because ketone bodies have some very beneficial effects on the human body. 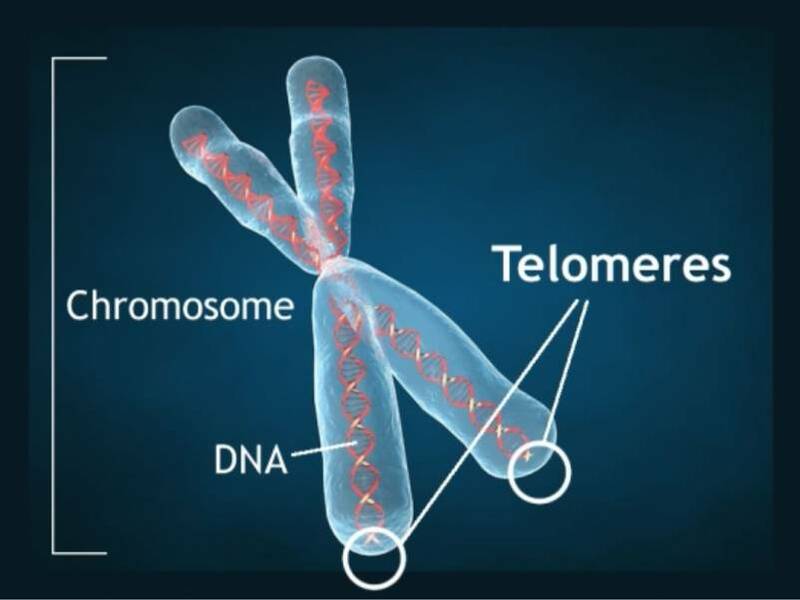 Being in the state of ketosis is an effective treatment for many disease conditions because the presence of ketone bodies in the blood improves our health at the cellular level, specifically in the function of cellular energy pathways and mitochondrial health. Ketogenic diets are now being used to treat medical conditions such as diabetes, epilepsy, autism, Alzheimer’s, cancer and others and much of the success of these treatments is rooted in these cellular effects. A ketogenic diet requires tracking the carb amounts in the foods eaten and reducing carbohydrate intake to about 20-60 grams per day. For some people, less than 100 grams per day may work, but this level of carb intake is too high for most people to achieve ketosis. In addition, the daily protein requirement should be driven by an ideal body weight or lean body mass. Protein intake also depends on height, gender and the amount of exercise done. Eating too much protein can interfere with ketosis. The balance of calories after calculating carbs and protein requirements will be from fats. These ratios ensure that most people go into ketosis and stay in that state. The state of ketosis has some beneficial effects so this is an important goal, especially for those people with health issues. The ketogenic diet typically works out to about 70-75% of calories from fat, 20-25% from protein, and 5-10% from carbohydrate on a daily basis (calories are not restricted). The key to correctly implement a ketogenic diet is to remember that you are exchanging carbohydrate-containing foods with a higher fat intake and a moderate protein consumption. Why high fat and moderate protein? Fats have little to no effect on blood sugar and insulin levels. Protein does affect both blood sugar and insulin. If you eat too much protein for your ideal body weight or lean muscle mass (usually more than 1.5-2.0 grams/kg lean body mass), it can spark gluconeogenesis and raise blood sugar and protein will also spike blood insulin levels temporarily. Higher insulin levels will interfere with ketone body production. In addition, eating a diet that is heavy on lean protein (without enough fat) can make one sick with a condition known as “rabbit starvation“. It can also wreck the metabolism in other ways. *Choose low allergy cheeses such as sheep or goat cheese. If you can tolerate cow cheese, choose cheeses like mozzarella or cream cheese. As always, choose cheeses from grass-fed animals! *If optimal results are not achieved eliminate all dairy. It is very difficult for 99% of people to achieve nutritional ketosis through diet alone. Achieving nutritional ketosis can take anywhere from 3 days to a few weeks, depending on how strict and active a person is. Maintaining a state of ketosis is even more difficult. Many people that attempt to achieve nutritional ketosis ultimately give up before they actually achieve ketosis and if they do achieve ketosis they end up kicking themselves out because they had 1 too many strawberries or an ounce more protein than the should have. If the workout is 1 hour or less and heart rate is below 65% max, take 1 1/2 serving of Ketone Supplement (Keto//OS) 30 minutes prior to your workout. If the workout is longer than 1 hour and heart rate is below 65% max, take the 2nd serving of ketone supplement (Keto//OS) 90 minutes into the workout and repeat every 90 minutes (consume additional servings within 10-20 mins). If Heart rate is increased quickly (Hill Climb), take 1 1/2 serving of ketone supplement 1 hour prior to workout and again 30 minutes prior. Want to order your 20 day supply of Keto//MAX and put it to the test? Order your 20 day supply today!